The average person spends about 13 hours a day sat down, leading to an epidemic of back pain that’s only getting worse as we become more sedentary. When you spend all day sitting at a desk or in a car it’s easy to slouch without realising. This strains your back muscles and compresses the joints in your spine in a way that causes pain and stiffness. 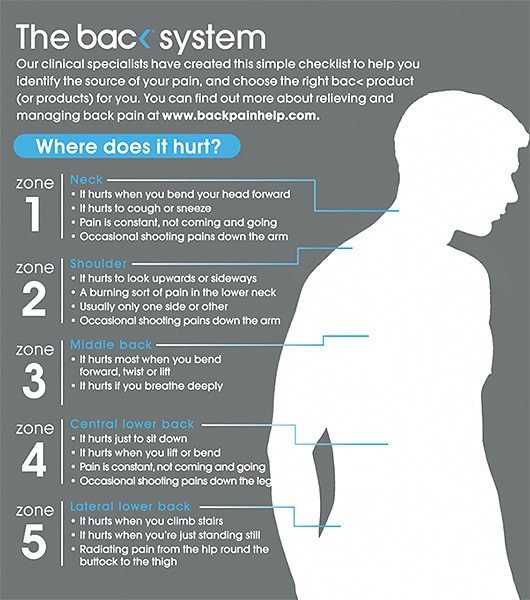 By sitting with correct posture you can avoid all of this and feel healthy, pain-free and confident. The easiest way of improving your posture is to use a lumbar support cushion. These are shaped to provide support for the curve of your lower back and help you stay aligned while seated. However, it can be very difficult to find one that’s actually comfortable to use! This is due to the ‘one size fits all’ design they have, which doesn’t take into account the unique dimensions of your body. The Backboard adjustable lumbar support can be bent into exactly the right shape for you and the chair you are sitting on. Just place it against your knee and gently bend it so that it fits the curve of your spine. You can then attach it to your chair using the included elasticated strap. The Backboard is versatile and lightweight so you can take it anywhere – use it at home, in the office, in the car or while travelling. Any seat you sit on can be adjusted to your body! Designed and manufactured in the UK, the Backboard is recommended by the London Spine Clinic – one of the famous Harley Street’s most respected clinics! The Backboard Plus comes with two cool pads for added pain relief. Store them in your freezer for those achy days – they are reusable up to 100 times. Just slip them into the elasticated sleeve and adjust it so that it’s behind the affected area. Cold therapy is excellent at easing pain and reducing inflammation, helping you to recover from back pain more quickly. Bac< also make reusable heat pads that are great for easing pain from long term conditions and menstrual cramps.